The production of food does more to damage the planet’s health than any other human activity. Global warming, degradation of species, soil, water, air and rural economies and epidemics of diet-related disease reveal the challenges. And yet there is real hope. Visionaries and revolutionaries are innovating to replace the harmful. They are creating or supporting agriculture and food enterprises that solve our many challenges. The workshop is open and free to the public. It will take place at the Keck Center in Washington, DC at 500 Fifth Street NW from 8:30 am until 3:30 pm, and will also be available via webcast. Register Today for "Growing Dollars for Prevention: A San Diego County Convening"
The California Alliance for Prevention Funding (CAPF), the County of San Diego Health and Human Services Agency, Live Well San Diego, Be There San Diego, CA4Health, San Diego Accountable Community for Health and the Public Health Alliance of Southern California invite you to "Growing Dollars for Prevention: A San Diego County Convening" to learn about a new proposal advocating for sustained, dedicated funding to promote health equity and prevent the leading causes of illness and death in California. The California Heat Assessment Tool (CHAT) has been selected by the Climate Change Business Journal for a Project Merit: Climate Change Adaptation and Resilience award, for its innovative approach to helping public health officials, health professionals and residents understand what changing heat wave conditions mean for them, through a free online platform. CHAT is part of California’s Fourth Climate Change Assessment, a state-mandated research program to assess climate change impacts in California, and was developed by Four Twenty Seven, Argos Analytics, the Public Health Institute and Habitat 7 with technical support from the California Department of Public Health. Join PHI and partners in Sacramento on Tuesday, April 30th to build momentum for a healthy and equitable California. Fostering healthy food environments in neighborhoods and schools, and designing communities in which all families have access to safe places to play and be active are central themes of ENACT Day. Feeling Safe, Being Safe was the first online emergency preparedness training series developed by people with intellectual disabilities for people with disabilities and older adults. The success of Feeling Safe, Being Safe has encouraged adaptation of this model for training development and delivery on a variety of related disability inclusive emergency management initiatives throughout disaster response, recovery and mitigation. Congratulations to Joseline Velásquez Morales, GOJoven Guatemala Alumni Association graduated fellow and colleague, who was recently recognized as one of BBC’s Top 100 Women in 2018 for her work with the Association. The GOJoven Guatemala Association was formed in 2014 by local youth leaders trained under PHI’s GOJoven International program between 2004 and 2012. The Public Health Institute, supported by the National Institutes of Health, is conducting a project on family nutrition and eating habits in the Bay Area. The project will provide important information for guiding programs and policy on family nutrition and health issues. 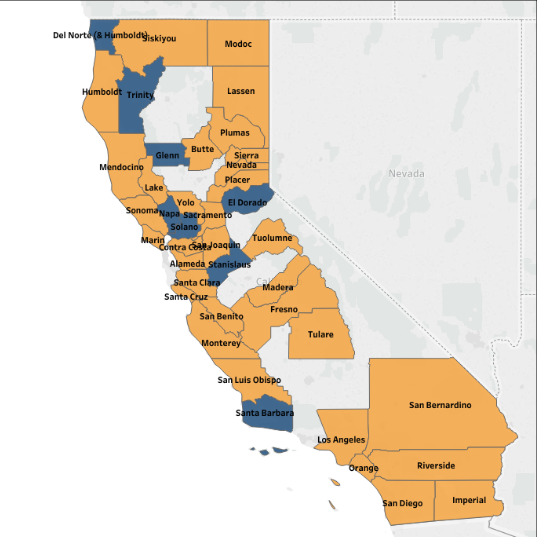 Are you working on asthma in California? Do you want to connect with other asthma stakeholders across the state who address similar issues? Do you want to help shape and amplify a statewide voice to bring attention to asthma and impact policy decisions? If you answered ‘yes’ to any of those questions, PHI's Regional Asthma Management and Prevention (RAMP) program invites you to join the Community Action to Fight Asthma (CAFA) Network. 1 2 3 4 | » »» Page 1 of 13 | Viewing 1-20 of 252 records.